While it has been demonstrated that prophylactic mastectomy reduces breast cancer incidence among women at high risk, many women often consider this disfiguring surgery unacceptable. One alternative approach may be breast reduction surgery. 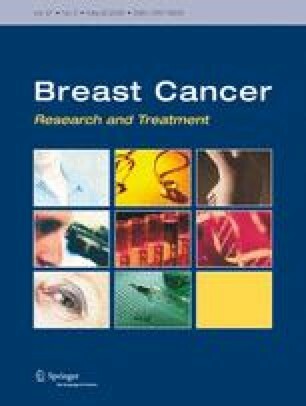 In order to evaluate the long-term incidence of breast cancer following surgical removal of breast tissue, we have extended by 9 years the follow-up period of our earlier retrospective cohort study of Swedish women electing cosmetic breast reduction surgery (n=30,444) between 1965 and 1993, yielding an average of nearly 16 years of follow-up. Cancer incidence through 2002 was ascertained via the Swedish Cancer Registry. Standardized incidence ratios (SIRs) and 95% confidence intervals (CIs) were calculated comparing women who underwent breast reduction surgery with women in the general Swedish population. Breast cancer was observed in 443 women versus 624 expected for a statistically significant reduced SIR of 0.71 (95% CI=0.65–0.78). Analyses by age at surgery, time since surgery or calendar year of surgery revealed similar reductions in risk. Our study of over 30,000 women with long-term follow-up offers further evidence that women undergoing breast reduction surgery have reduced breast cancer risk. As the evidence from large-scale cohort studies accumulates, direct testing of this reduction in risk through clinical trials should be considered. The study was financed by a grant from the International Epidemiology Institute, an independent biomedical research organization, which in turn received funding from Dow Corning Corporation, Midland, Michigan, USA. Dow Corning Corporation was not involved in any aspect of the study design, data collection, or interpretation.